The room with the fireplace is the room for us. That heat just seeps right into everything. The dogs love it too, they slump down at the foot of the stove, content to snore entire days away while we read or tap around on our wireless devices. Marina is chugging through a bunch of Brett Easton Ellis stuff, Dylan is reading a constantly evolving set of farming how-to manuals, and I am reading the best book ever written about giant sand worms, “Dune”. We drink coffee and tea, take naps, and play board games; it is the restful dream-life of seasonal farmers. Sometimes it is wild and busy – like yesterday when two feet of snow fell on everything and had to be moved immediately. Or when we transported the goats in Dylan’s Volvo wagon to Helen the goat-whisperer in Denmark so that they might have a successful rendezvous with the one and only Casablanca. 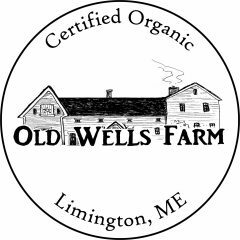 Or Saturday when we will barrel down into New Hampshire on the coattails of another storm to help put together the final CSA box for the Foothill Farm Alliance. But for the most part, winter is a good time to chill out and catch up on deep thoughts, long reads, and lots of precious silence. 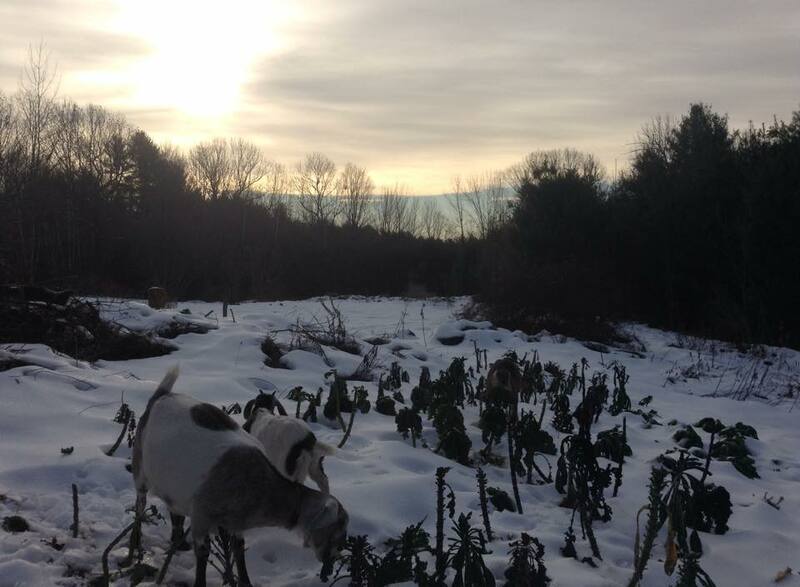 In our calm and relatively snowless winter we’ve decided to take on the mantle of forward thinking farmers across the nation and develop our own CSA program. Odds are you know what a CSA is: an acronym for Community Supported Agriculture that’s actually an old program for an age old concept – pay farmers money for food. A weekly box of vegetables at a discounted rate paid up front. You give me money for seeds now, I give you food later. A novel idea. How do you plan for such a crazy thing – both as the chef and as the grower? What are you going to do with all of that eggplant? How am I going to make sure you get too much eggplant? It is harrowing! All of those boxes, all of those pickups, all of those wacky vegetables, and why do farmers think you can eat that much Kale? What is a Jerusalem artichoke even FOR? Who actually eats radishes? Are we crossing the line, thinking ourselves nutritionists? Is there a political slant? Are we just a bunch of hipsters forwarding our alt-food agenda, hell-bent on playing up to your romantic notions rooted in some naturalistic fallacy concerning a better world through wholesome eating for the sake of our own profits? Is this about Monsanto!? We are growing vegetables. If you want a box of what is ripe, when its ripe, we can make that happen, because we know its hard to find that at the grocery store. If you want in, give us a ring, or sign-up here. It costs $425 if you sign up before March 1st. Also, if you don’t like eggplant please let us know, we will be happy to donate it to the illuminati.